I have been in banking and real estate 21 years. Starting as a bank teller in 1991, I worked in commercial, private, and personal banking. I found my passion was residential lending and educating consumers in making one of the most important decisions in buying a home. Determined to provide more service, I obtained my Real Estate license in 2003.  In January 2011, I established Harmony Brokers. I wanted to provide a “One Stop Shop” for consumers to provide Real Estate services as well as lending. I am blessed to have three amazing children (Bailey, Jaiden & Maisen). I enjoy golfing, fishing, and trying to keep up with the kid’s activities. I grew up in the real estate industry. Both my parents were realtors and I spent many Sundays at open houses with them. I have lived in Colorado my entire life and know all the great spots for vacations. I moved my three children from Denver to Loveland in 2000 and we call it home. For 28 years, I was a marketing consultant for small to medium business owners. My passion is every child should have “roots”. A place to call home and create new memories. I love to take family vacations with my 3 children, their spouses and my 4 grand children. Doing yoga and spending time outdoors is what I do with my free time.